In a city as exciting and action packed as Barcelona, where the sights and attractions seem endless, it’s sometimes hard to discover cool and unique places on your own. With a little help from this guide however, you can do just that. While it’s obviously worth it to check out the iconic Barcelona streets such as Las Ramblas and Passeig de Gràcia, I assure that if you make a point to take a detour to some of the streets in this article, you won’t regret it. Take a step back from the tourist-filled attractions that you’ve already heard so much about and appreciate the hidden, more authentic side of Barcelona! Located in the heart of Barcelona, just three blocks from Passeig de Grácia, somehow, this street has managed to remain somewhat unknown to the millions of tourists who visit Barcelona yearly. Beginning by the University on Consell de Cent street and ending around Diagonal street, Enric Granados is small and quaint, a far cry from the bustling, flamboyant Ramblas. It has a peaceful, quiet feel, though still boasts some of the best restaurants and bars in the city. With only one lane of traffic, it feels like it is meant for pedestrians to wander along, making it a great place to go for a stroll and also ideal for dining on one of the many terraces without the city noise. The large variety of restaurant options along this street make it that much more exciting to explore. From high-end dining to cheap and cheerful eats, this trendy Barcelona street has something for everyone. We recommend Bellavista del Jardin del Norte for some delicious tapas in an unusual setting, and WOW bar for drinks with friends. Make sure you don’t miss the design shops and art galleries dispersed along the street as well. 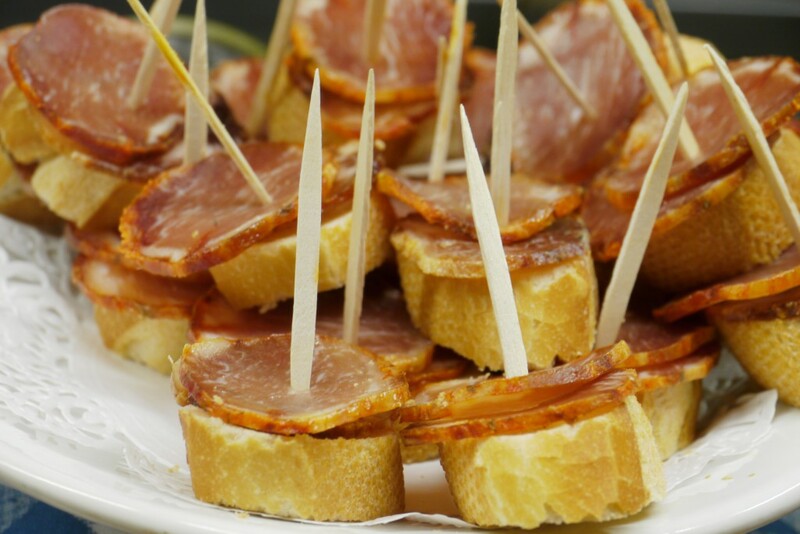 Ever heard of pintxos? Check out Carrer Blai and you’ll learn in no time. These yummy tapas, originating in the Basque Country, are all the rage on this cool street in Barcelona. Fresh bread topped with veggies, seafood or meat? Sounds good. For only 1 Euro compared to the 2 or more Euro you’d usually have to pay in more touristic areas? Count me in! Come to Carrer Blai to sample these delicious treats. 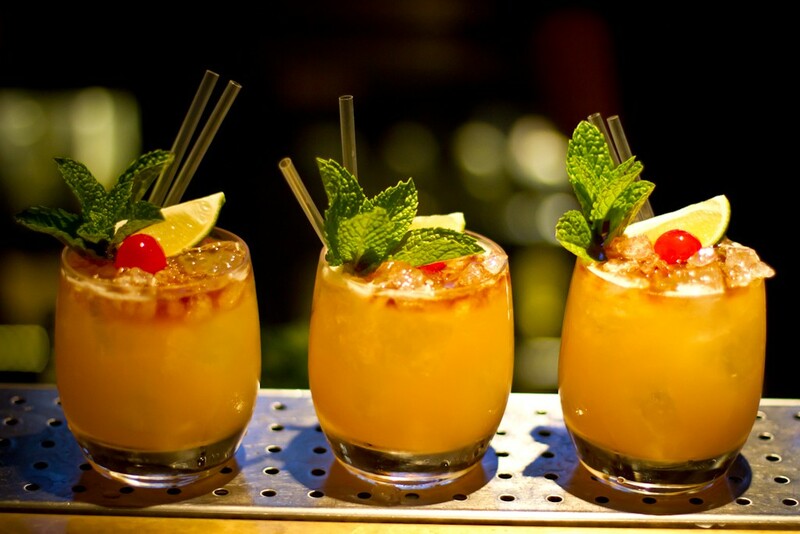 Complete with a bar covered in platters of all different variations of pinxtos, these gems are not to be missed. Go out on a limb and try something you may not usually go for – why not? That’s the benefit of the buffet style selection of mini treats like these. 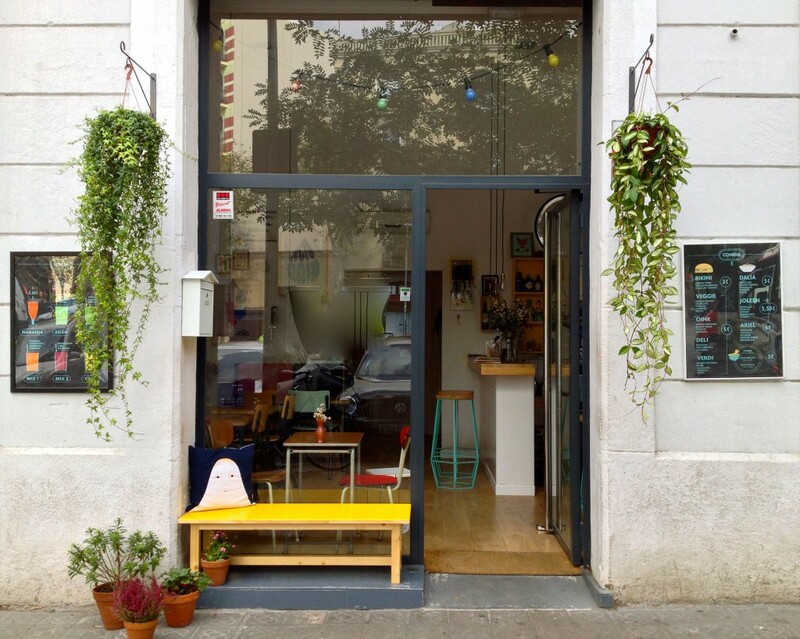 If you’re looking for a cool, funky bar, Carrer Ample is the perfect place to get your Barcelona barhop fix. Pop into a swanky coctelería or a traditional fisherman’s tavern — on Carrer Ample you have access to both and much more. Start your night right on this eclectic street, with some tapas, a G&T, a beer, sangria or a cocktail and you’ll surely be in for a good time! We recommend Bar La Plata for an authentic taste of Barcelona, a place which boasts delicious vino and the same four tapas dishes as it offered when it first opened in 1945. Alternatively, head to Penny Banger, located in part of the historical Palau Mornau – one of the oldest and most classic buildings in the area – for some delicious artisan beers. Situated in the Gothic Quarter, this cool street in Barcelona is easy to get to and a great place to start a night out on the town. If you’re looking for a trendy place to eat brunch or sip coffee on a sun-soaked spring day, Carrer Parlament is the place for you. Wander onto this hip street, located in the up-and-coming Sant Antoni area, and you’ll be flush with scrumptious cool dining options. Sit on a terrace with a cup of coffee and feel like a local as you chat with your buddies or break in a new book. We recommend Café Cometa for some tasty sandwiches and juices. Carrer Parlament is the perfect place to come with a group of friends for a leisurely brunch or tapas meal. It’s not much of a place for night timers however, as many of the restaurants shut when the sun goes down—you’d be better off starting here and heading over to Carrer Ample when it’s time to hit the bars. 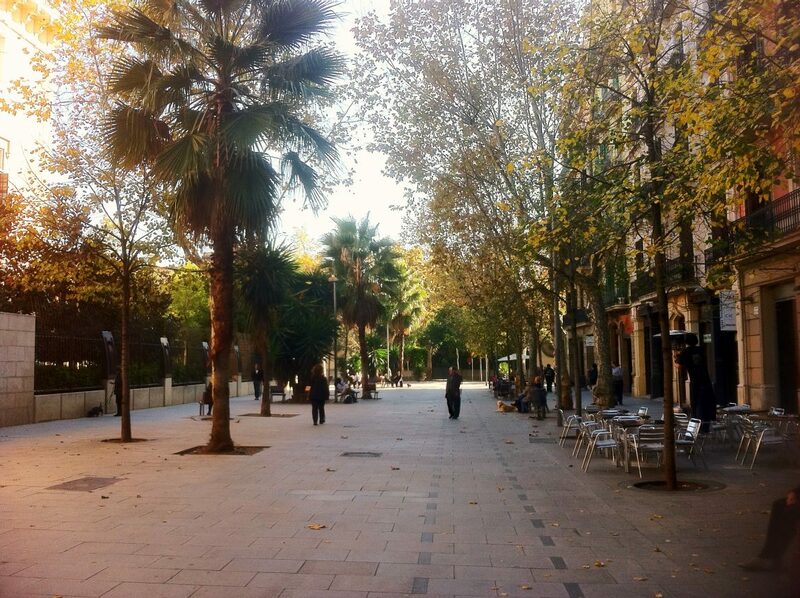 Head to this lively Gràcia street at any time of day or night and you’ll be in for a great time. 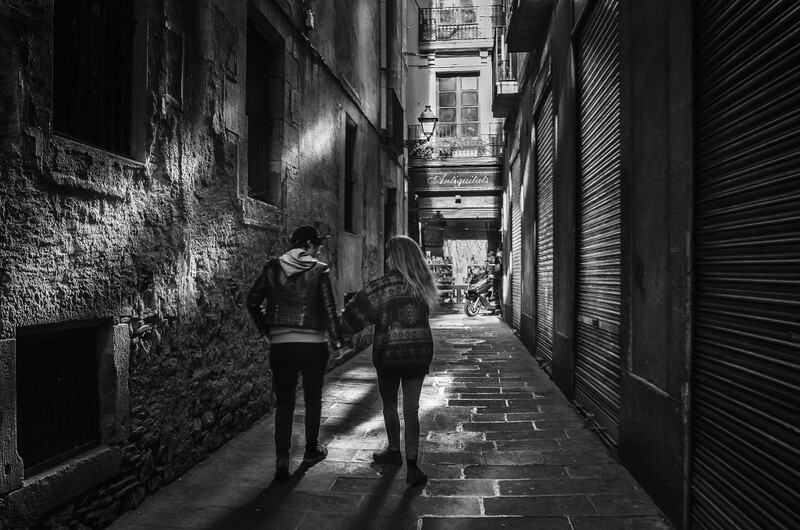 Home to many Bohemian coffee joints, funky bars and scrumptious restaurants, Carrer Torrijos is one of the coolest streets in Barcelona and certainly has something for everyone. For the veggies and vegans among you, we recommend heading to Pastissería La Besneta, Barcelona’s first vegan bakery. There’s also a great selection of Mexican eateries on this cool Barcelona street. 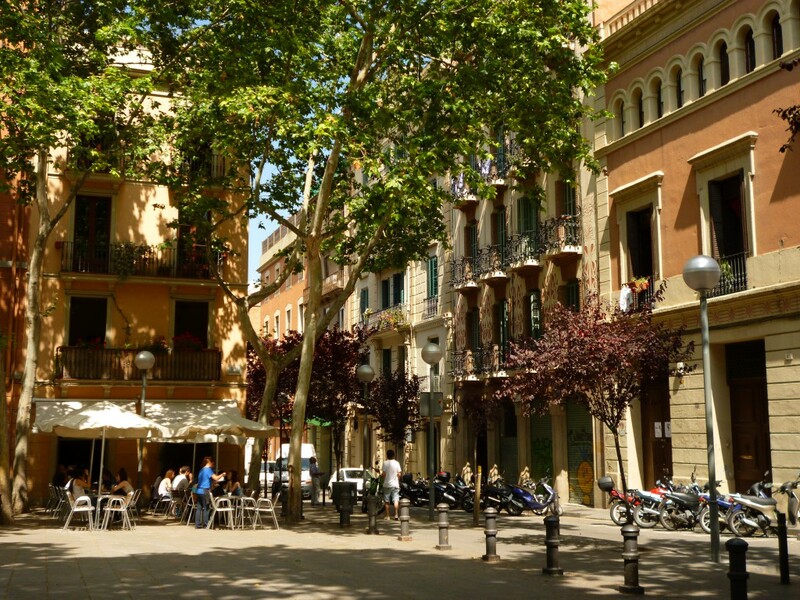 Placa de la Virreina, one of the Gràcia neighborhood’s many picturesque squares situated at the end of the street, is a quiet, beautiful place to sit and sip your coffee while soaking up the authentic ambiance of this Barcelona barrio. Complete with a stunning church and lined by green trees, this plaza is the perfect place for a moment of relaxation amid the hustle and bustle city life. Greta is a writer originally from Boston, Massachusetts, currently living and studying in Barcelona. Greta is an avid traveler with a passion for culture, history and art.